Water Polo legends: 1926: The Champions of Club Natacion Barcelona. 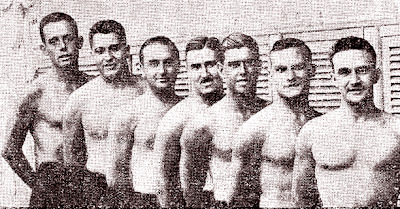 The team of Club Natacion Barcelona Champion of Spain in 1926. The team: Gimenez, Puig, Cruells, Baste, Brull, A.Trigo, M.Trigo.